Boss Monster Yamaha Tech 3 team, Herve Poncharal, feel confident that the rider Pol Espargaro had a positive impact on his team.Poncharal admitted lucky to get a rider who replaced Cal Cruthlow it. 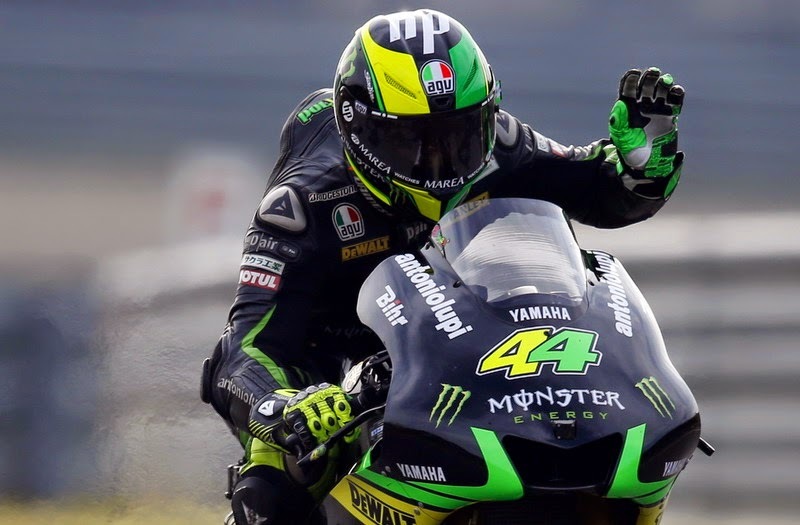 Espargaro also managed to make the Tech 3 satellite team back into the best.The Spaniard is ranked sixth success in MotoGP in 2014, and won Rookie of the Year . "Pol amazing figure out the track and very charming. When he arrived in our team, everything just feels good. He immediately became a part of our team until it seems we've been working together for a long time," said Poncharal toMotoGP.com , Saturday (31 / 1/2015). "He brings a positive atmosphere in our team, I am very grateful to him. But of course the ultimate goal is to perform well on the track," he concluded. 0 Response to "Pol Espargaro Bring Positive atmosphere for Yamaha Tech 3"